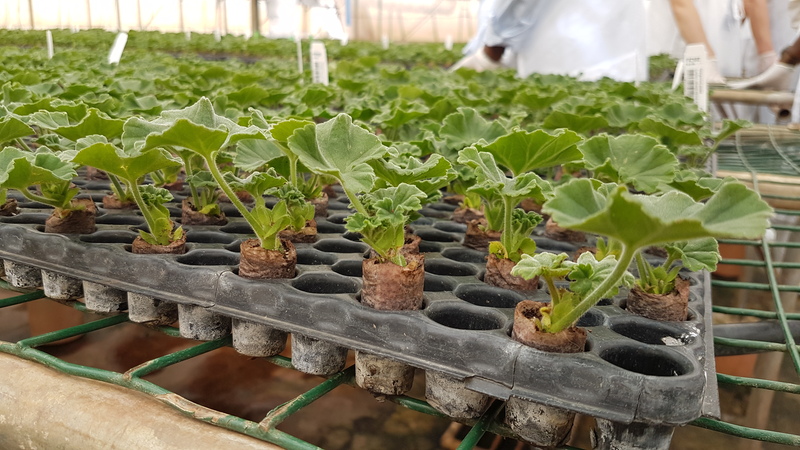 In the 2019 season, our rooted cuttings of Pelargonium and Poinsettia from Africa will be packed and shipped in improved packaging. The new product form, Quickstep® in a tray, will ensure plant quality is maintained during long-distance transport. It will also give growers more flexibility. With the current Quickstep® packaging, cuttings require immediate transplantation and can sometimes arrive damaged. But Quickstep® in a tray holds plants more securely, preventing damage. It also offers growers the opportunity to unpack the cuttings and leave them in their trays for 24-48 hours before planting. The first crops to adopt Quickstep® in a tray this season will be Pelargonium and Poinsettia. Poinsettia cuttings, in particular, are vulnerable to damage during transportation. Quickstep® in a tray offers a much improved way to transport them safely. Remember to ask your sales rep for Quickstep® in a tray when placing your order.